Music Mark welcomes the outcome of the Department of Education’s (DfE) Teachers’ Pension Scheme consultation which has confirmed not only support for schools facing significant additional financial pressured by this imposed 7% increase in employer’s contributions, but also the recognition that there are many Music Hub Lead Organisations and Music Services who will also have to find additional cash from stretched budgets for staff who are in the scheme. In February, Music Mark contributed a detailed response to the DfE’s consultation. However, it was back in September 2018 that Music Mark raised the significance of the proposed employers’ contribution increase on Music Education Hubs due to there being many Music Services who are still linked to the Pension Scheme. 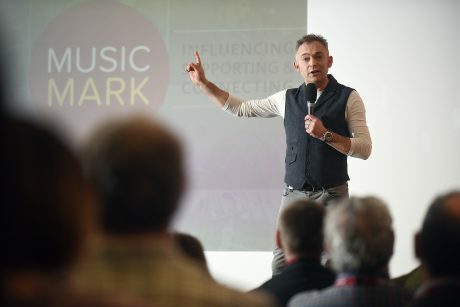 A survey of the membership at the time demonstrated the impact of this increase was likely to be even more concerning than the pay increase also announced last year and for which Music Mark lobbied for additional support for Music Education Hubs resulting in a small uplift to the Music Education Grant for both 2018/19 and 2019/20. It is because of Music Mark’s lobbying that Music Education Hubs were listed in the DfE’s consultation, and the decision to include support to cover the full cost of the increase for all Music Teachers working for Music Services and Hub Lead Organisations who continue within the Teachers Pension Scheme is the right outcome. The process for receiving funding for music education hubs and local authority centrally employed teachers is the same – direct application to the Department for funding. We want to be sure that all Hubs, large and small, get the money that they need to cover their increased TPS costs. As yet, I have no information on what the mechanism will be but now DfE has confirmed that all hubs will apply directly to the Department for funding this will ensure funding equals the actual, additional costs music education hubs will face as a result of increase in employer contributions of the Teachers’ Pension Scheme (TPS). Hubs can now plan on this basis – that extra TPS costs from the increase in employer contribution rate in 2019-20 will be covered in full. We will work with ACE and Music Mark on the specifics of the application-system, aiming to make the process as simple for hubs as possible. Funding will cover the full period September 2019 to March 2020. Funding after this point will be discussed at the Spending Review. As you know the grant increase in January in recognition of the increased pressures faced by hubs, including teachers’ pay, was much more straightforward, as it was to cover cost pressures faced by all Hubs – a straight percentage distribution would not, at individual hub-level, cover the actual, additional costs music education hubs will face due to the rise in employer contribution rate of the TPS. Having Hubs apply to the Department for funding will allow us to cover the actual, additional costs Hubs will face from the TPS employer contribution increases. Of course funding beyond March 2020 is as yet unclear – not just in terms of supporting this ongoing employers’ commitment to its teachers pensions, but also for the wider Music Education Grant distributed to Music Education Hubs, which this year is worth £75.8m. Until the government has completed its Comprehensive Spending Review, no decisions can be made on funding. Whilst we are still 10 months away from the 31st March 2020, business planning into the new Academic Year is well underway and the uncertainty of the levels of support are a real concern. As Bridget Whyte, CEO of Music Mark, noted: “Whilst we are delighted that the DfE recognised the increased financial pressures facing those involved in delivering an equitable music education offer to children and young people across England with the small uplift to funding announced in January and have mitigated for increased pressure from the decision to increase contributions to the Teachers Pension pot, the fact remains that the Music Education Sector is challenged to be more business-like without key information required to plan realistically”.